Ralph Pighin is the Vice President of Continental and Eastern Europe at Deezer. 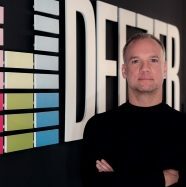 He joined the company in November 2016 with his chief responsibility being to develop a business strategy and plan that further amplifies the growing presence of Deezer across Central and Eastern Europe. Part of this also includes the management of all departments including: Marketing, Sales, Communications, Social Media and Editorial in that territory. Throughout his career, Pighin has worked in music, partnerships and sales. Before joining Deezer, he worked at Mixradio as the Vice President of Global Advertising and General Manager GSA, Benelux & Poland. Prior to that, he worked as the Director of Global Business Development at Microsoft and Nokia, as well as the Director of Digital Distribution & Development at EMI Music Germany. Pighin started his career at Virgin Records as Head of Virgin Online Germany, following his law degree at Ludwig-Maximilians University in Munich.